He found that his practice gave him radical changes in strength and mental clarity whilst maintaining his health in the unhealthiest of professions. The physical benefits over time deepened and led him to develop an interest in Pranayama (breath control), the practices of Zen and the study of Sanskrit. foremost authorities on the study of breath control. Pete also holds a First Class Masters Degree from SOAS in Buddhist Studies, Sanskrit and the Origins of Yoga and teaches the Philosophy module on Teacher Training programmes across London. 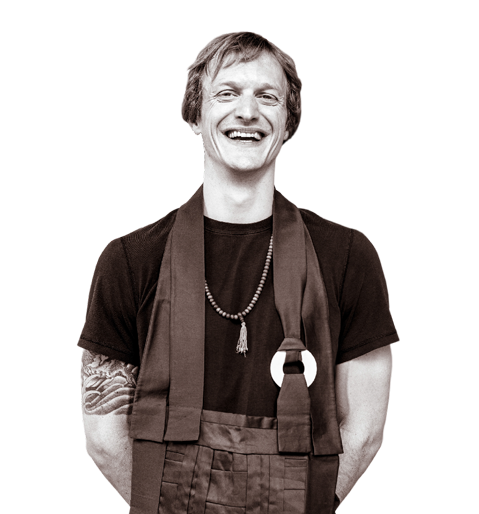 His yoga work has now seen him become one of London’s most in demand power yoga teachers and he regularly conducts workshops across the city on breath anatomy and the art of meditation. Pete’s passion is to enable all students to experience first-hand the richness that self-awareness can bring to life and the startling benefits of regular mind training. Teacher Training programme and continues to teach both privately and in studios all throughout London. Her classes combine both her extensive knowledge and love of Yoga, with a friendly and approachable style!